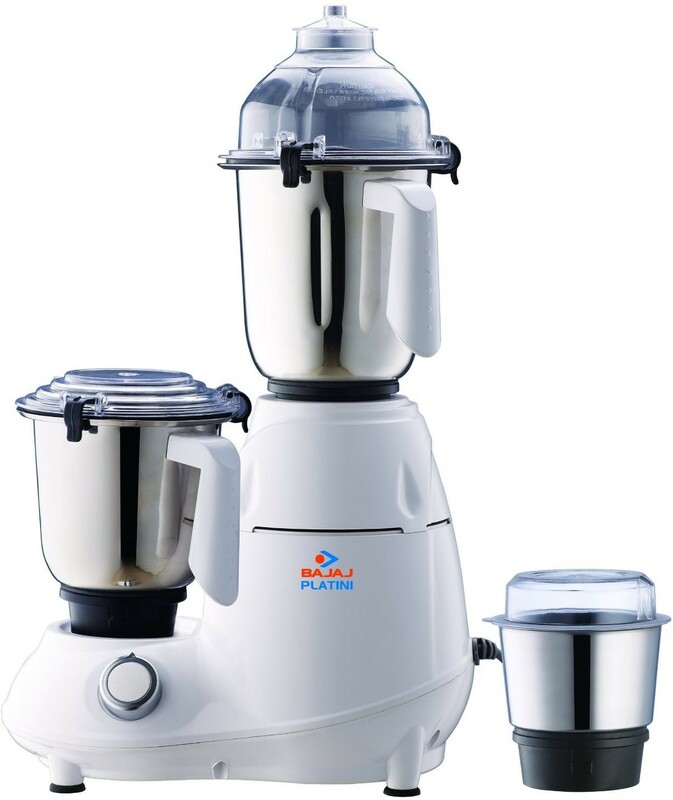 Find more than 1 Bajaj Platini Mixers, Juicers, Grinders price in India from leading online stores updated as on 20th April 2019. Prices of mobiles in India range from Rs. 3909 to Rs. 3909 with the lowest priced bajaj platini mixers, juicers, grinder being Bajaj Platini Px74m 750 W Mixer Grinder(White, 3 Jars) for Rs. 3909 from Flipkart and the most expensive mixers, juicers, grinder being Bajaj Platini Px74m 750 W Mixer Grinder(White, 3 Jars) that costs Rs. 3909 at Flipkart. We only list trusted e-commerce stores who sell genuine products. Register & Shop with us without worrying to be spammed. Our algorithm delivers the lowest price without any favouritism to any store. Copyright 2019 ShopSmart Price Comparison Website | Property of eFlair All rights Reserved.